Mark your calendars for the biggest (and most delicious) holiday bake sale in Milwaukee! Parking available in lot across the street. Give to Cookies for Kids' Cancer at our online donation page! Come out to support Cookies for Kids' Cancer while picking up holiday treats and gifts for your friends, family, and colleagues. 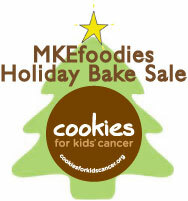 The MKEfoodies bake sale will feature sweets and treats from area food bloggers, home cooks, and baking enthusiasts. Santa will be there to meet and greet kids and adults alike -- and he'll be bearing gifts for randomly chosen lucky guests who make a donation of $2 or more at the door. The event is free, and all proceeds from donated baked goods will be donated to Cookies for Kids' Cancer. Even better: As part of OXO's $100,000 pledge to Cookies for Kids' Cancer this fall, they will match our bake sale's proceeds dollar for dollar! AND that Glad Corporation will give $1 to Cookies for Kids' Cancer for every cookie sold. Cookies for Kids' Cancer is a 501(c)3 non profit founded by parents inspired by their son Liam's battle with cancer. They were shocked to learn that the main reason over 25% of kids diagnosed with cancer do not survive is because of a lack of effective therapies. And the reason for the lack of therapies was very simple: lack of funding. They pledged to support the development of new and better treatments by giving people a simple way to get involved. Want to know why we've partnered with Cookies for Kids' Cancer? Just Watch. 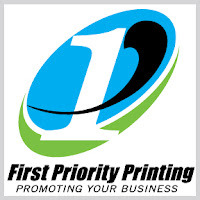 Interested in being a baker, a volunteer, or an event sponsor?